Reason for Watching: This category on the rubric is no longer relevant for Doctor Who. Episode Re-watchability: I’ve already rewatched it once, and it was nearly as fun as the first time. Final Verdict: A tremendously fun episode and a good move forward from the emotional weight of the Series 2 finale. 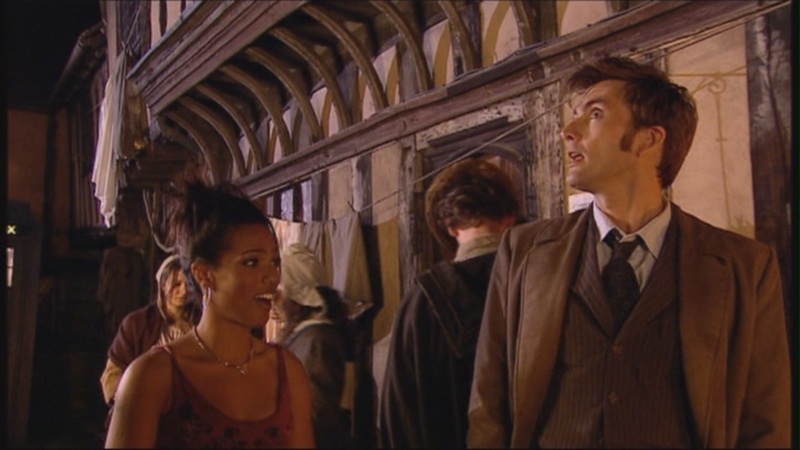 “The Runaway Bride” hearkens back to the previous Christmas episode, “The Christmas Invasion,” but fortunately avoids treading exactly the same ground. The robot Santa-musicians with their killer Christmas trees are back, but now they are being remotely controlled by a giant alien spider queen (The Empress of the Racnoss, played incredibly over-the-top by Sarah Parish) who is trying to awake her thousands (or more?) of “children” who are hibernating at the center of the earth. That last sentence was exceedingly fun to write. The plot’s back story feels too bold and illogical to be the subject of only a single episode, and if you think too hard about it (or much at all), it begins to fall apart. For instance, why are these ancient Huon particles supposedly so rare if they can be extracted from the hydrogen in water? But nevermind; the story is immaterial here. 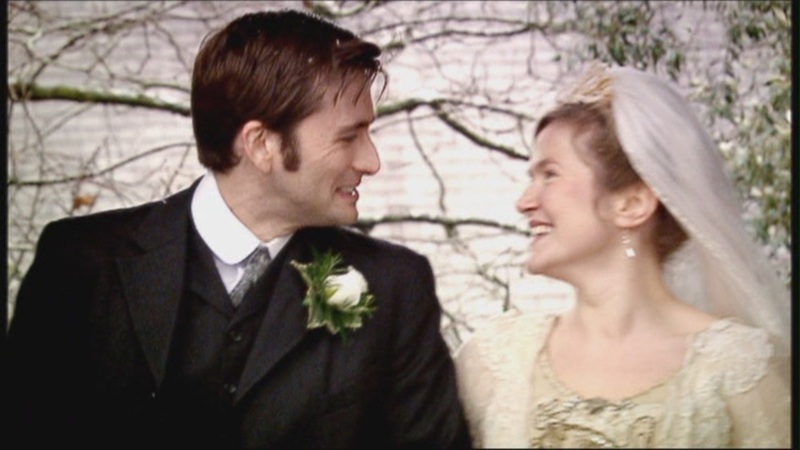 This episode is really about preventing the Doctor from wallowing in his grief over Rose and forcing him to move forward with his extraordinary life. She often needs the obvious pointed out to her. And he really has to move, too. 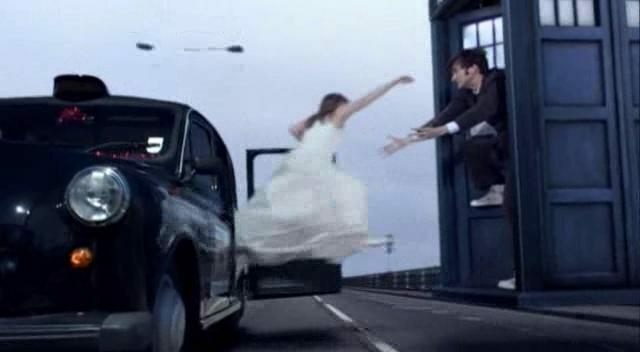 Mere seconds after the portal to Rose’s dimension closes, wedding-dress-clad Donna Noble is standing bewildered on the TARDIS and screeching at him to take her back RIGHT NOW. This character is really an amazing balancing act. 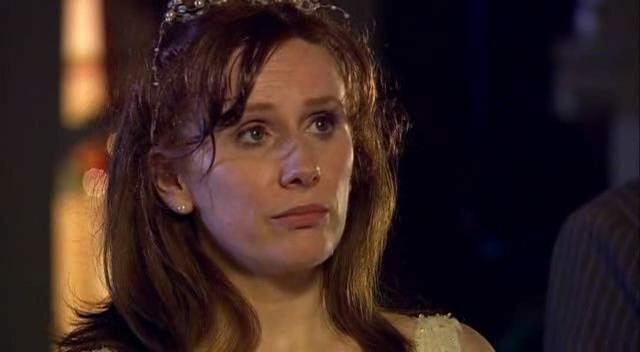 On paper she should be the most annoying thing ever, and yet somehow Catherine Tate gives her just enough intelligence (beneath her ditzy, oblivious surface), just enough kindness (despite her temper tantrums), and a reasonable amount of unlikely bravery that—in addition to being funny—she is actually a likeable character. 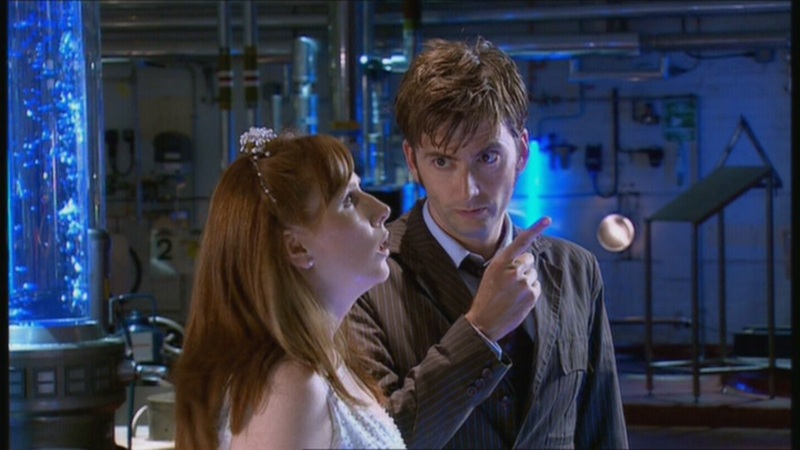 And regarding the strange man who is the Doctor, Donna can be remarkably perceptive. The real thrust of the episode comes after the adventure is over. 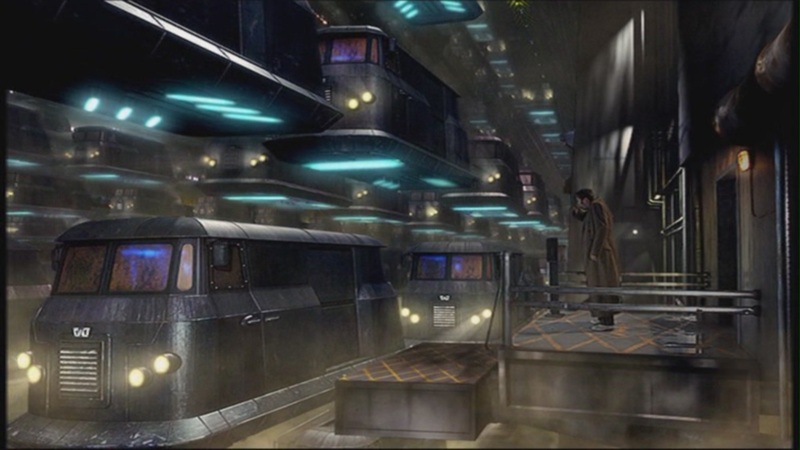 The Racnoss, despite their horrible threat, have been defeated pretty easily by the Doctor, yet the victory was rendered unpleasant by the anguished screams of the Empress and her drowning children, and also by the unemotional grimness with which the Doctor listened to their pain far longer than he needed to. 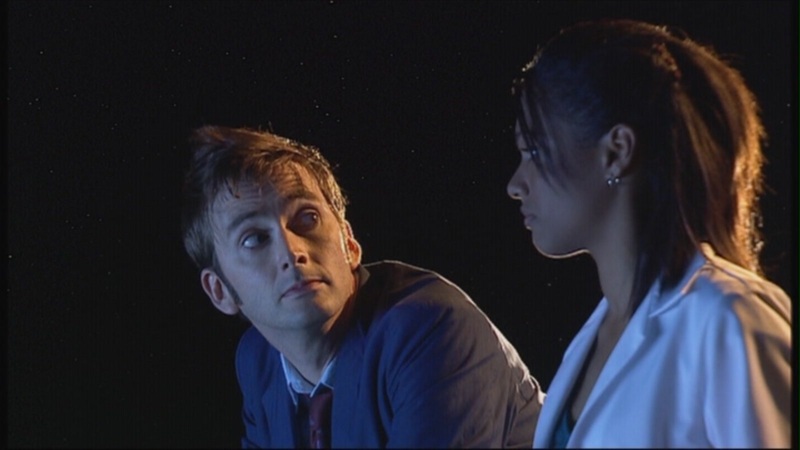 So it is that, at the end, when the Doctor offers Donna the position of full Companion—as I knew he would—she turns him down, citing the crazy danger of his life and how uncomfortable she is with how he deals with it (or the lack thereof). I doubt many people have ever turned down such an offer in the Doctor’s history! Yet I think it’s good for him to experience rejection every now and again. Not everyone can, or should, be like Rose, dropping their loved ones and responsibilities in an instant to run off with him. 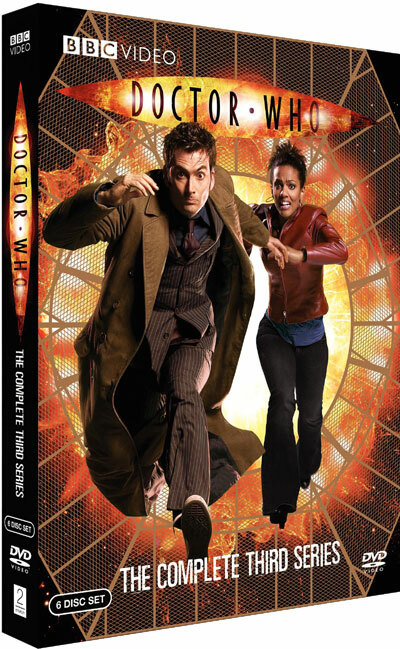 For all her silliness and problems, Donna is an older and more mature woman than Rose, and her life experience causes her to see something about the Doctor that Rose never quite did. The Doctor needs Companions. If for no other reason than to stop him when he begins to forget mercy and justice, and instead indulges his anger at his enemies. 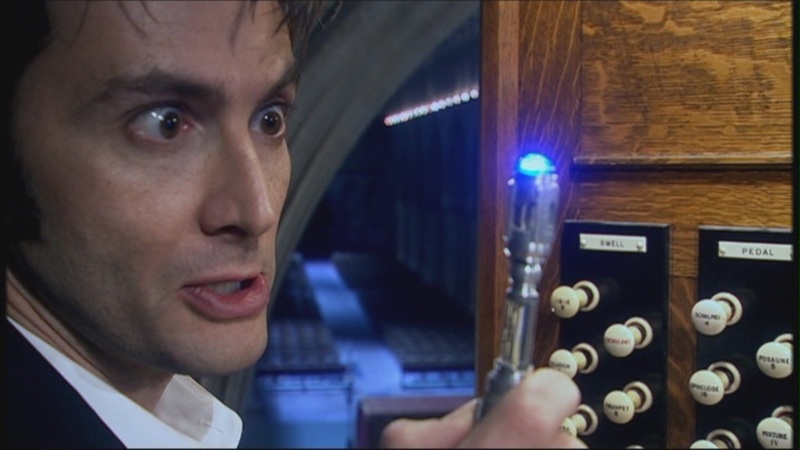 The Doctor is not a god; he is limited, flawed, troubled, and often enough wrong. Donna realizes that being a Companion is more than just being a helper on a series of wild adventures—it means being the Doctor’s moral leash. At this time, that is too much a responsibility for her, she says, but the Doctor needs to seek out those who can do it. 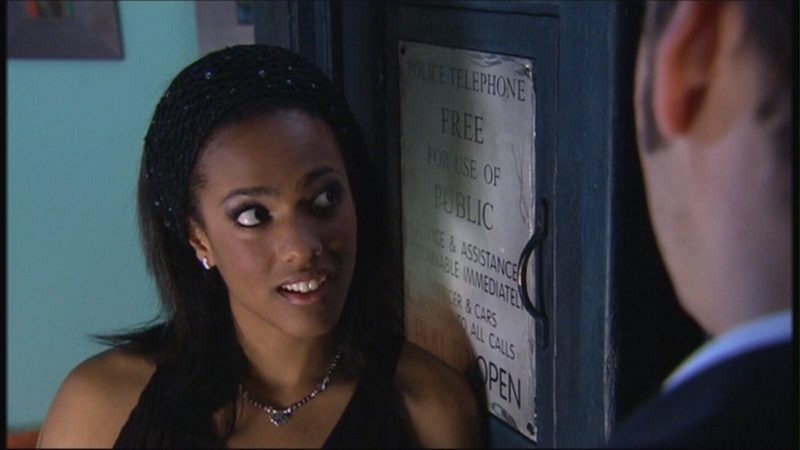 It is this piece of information we must keep in mind when examining Martha Jones’ role in the rest of Series 3. As an ending note, this episode is not very Christmassy. It looks as if it was filmed in the summer (and it probably was) and has even fewer Christmas trappings than “The Christmas Invasion.” Not much of a holiday theme, either. 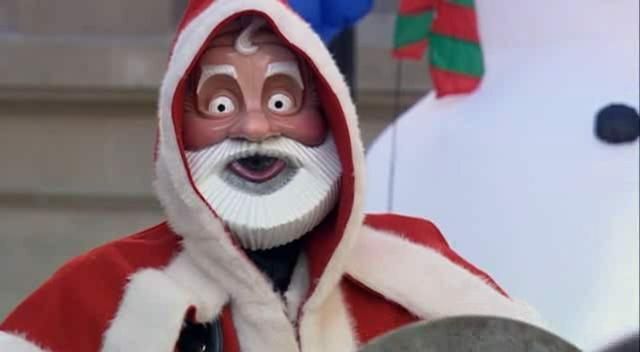 I don’t think Russell T. Davies likes Christmas very much, the way he treats it. The Doctor: You’ve seen it out there. It’s beautiful. Donna: And it’s terrible. That place was flooding and burning and they were dying and you stood there like… I don’t know, a stranger. And then you made it snow. I mean, you scare me to death! And we get to see the TARDIS actually fly! As in move through space instead of time! It's a pretty fun chase scene. 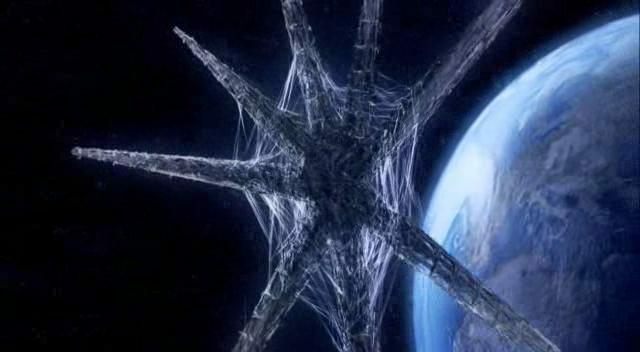 Don't we have big telescopes and satellites that would see this massive spider-web-comet-space-station-thing flying towards us? 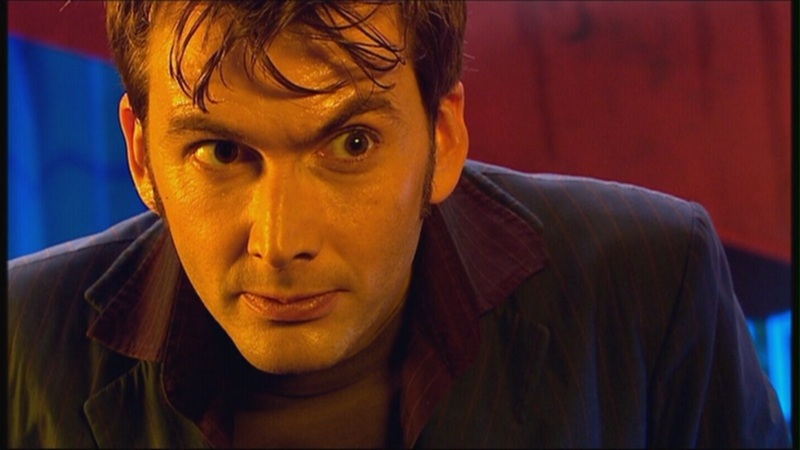 Read my review of Series 1 here and my review of the 2005 Christmas Episode, “The Christmas Invasion,” here. 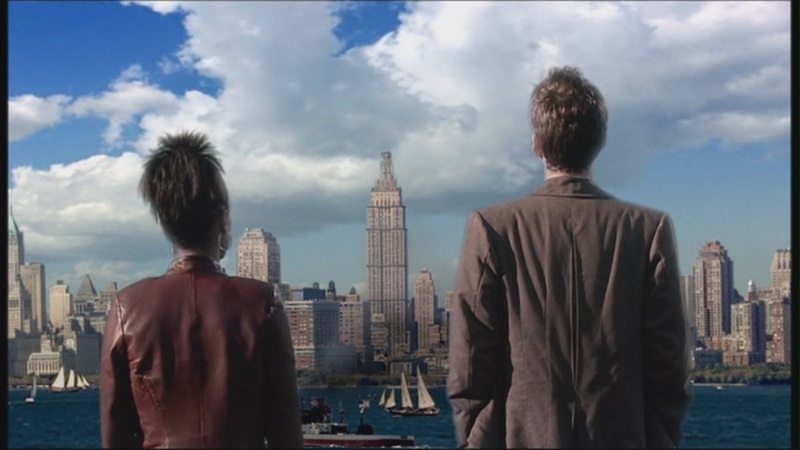 Barely Related Note: A Doctor Who/Highlander crossover series would be so indescribably awesome and beautiful that I can’t believe it hasn’t been done already. BBC Wales, please take note! You don’t have to credit me with the idea or give me royalties for it. Just work out the details with Rysher Entertainment and make it awesome. You’ll thank me later. Content Advisory: Between PG and PG-13 level violence, very little blood, but some very horrific or nightmarish stuff is shown or implied. Also some sexual innuendo scattered throughout. Spoiler-free Synopsis: The Doctor, now regenerated, continues his adventures in space and time with his young human Companion Rose Tyler. 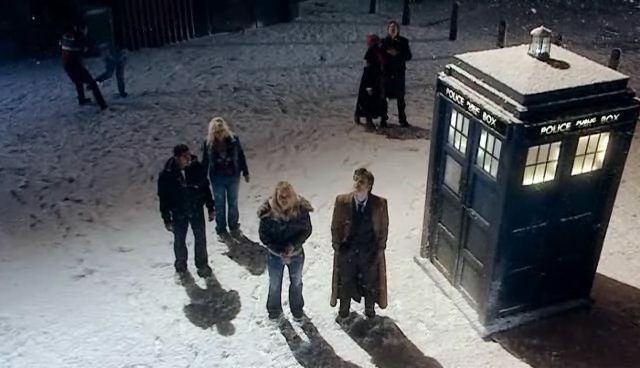 Arc Word: “Torchwood.” First mention is in “The Christmas Invasion.” An arc word is a word or phrase that gets repeated mysteriously throughout the season, often with ominous connotations, only to be fully explained and exploited in the season finale. The arc words for Series 1 were “Bad Wolf,” a clue that Rose-as-TARDIS-goddess retroactively planted throughout their adventures in order to tell herself what to do at the climactic moment (yeah, it was complicated). 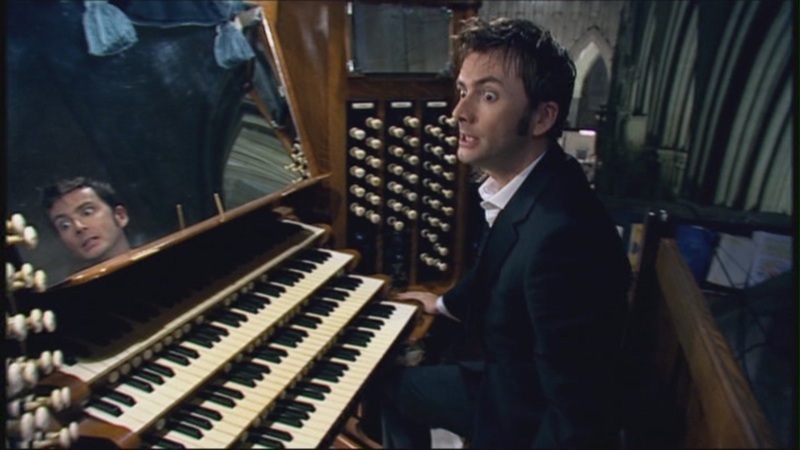 Reason for Watching: Loved Series 1, and just had to continue. Reason for Finishing Season: It’s the Doctor! And he is always a blast to watch. 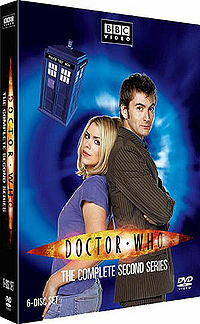 Episode Re-watchability: I could watch any of them again, but special mention goes to “The Girl in the Fireplace” and the “Impossible Planet”/ “Satan Pit” twofer. And the “Army of Ghosts”/ “Doomsday” twofer finale, if just for Mickey. Since the full review of Series 2 is taking a long time, I am posting early the review for the special Christmas episode, which technically is a “bridge” between Series 1 and 2 and thus doesn’t get officially counted as the second season’s first episode, even though it follows directly from the Series 1 finale and plays first on the Series 2 DVDs. Despite being denied an official number, it’s still an important episode. If you go straight from Episode 1.13 “The Parting of the Ways” to Episode 2.01 “New Earth,” you’ll be missing some awfully important stuff. 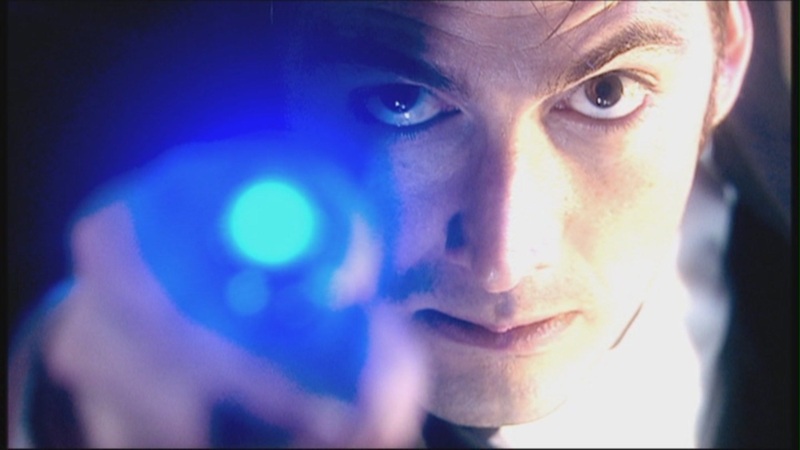 Reason for Watching: I think I’m now addicted to Doctor Who. 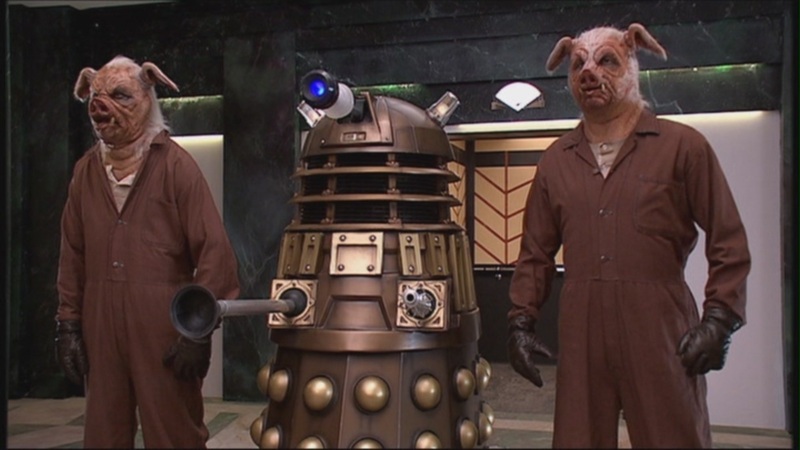 Episode Re-watchability: Not as much as the best DW episodes, but as with all of them, I could watch it again and be entertained. Final Verdict: A fine transition into a new season and a New Doctor. 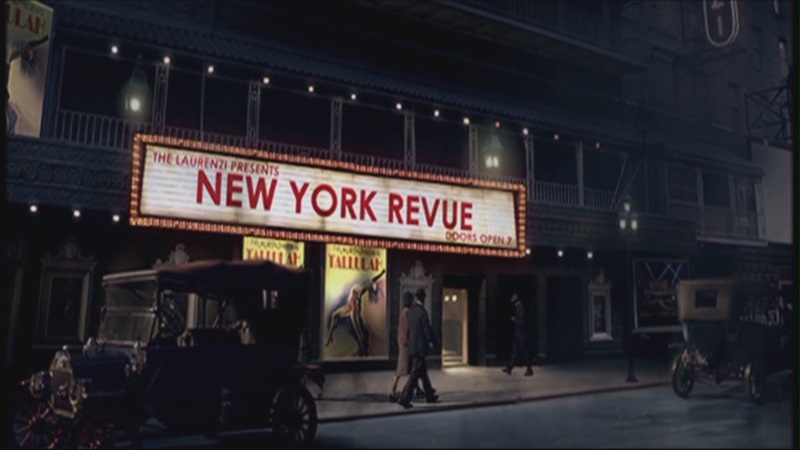 This episode is a good example of one of the show’s key strengths and one of its weaknesses. The strength is how in tune it is with the reactions of its audience, such that it can guide the transition from one intensely charismatic Doctor to another quite gracefully. The weakness is its often-heavy-handed and hypocritical pacifism. However, I’ve come to accept that weakness as simply coming with the territory, at least while Davies is Head Writer. He can sleep through an awful lot. 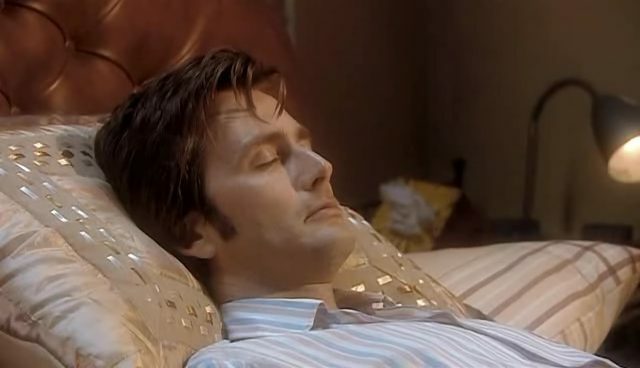 There was no guarantee Tennant would be popular, so the decision to keep him incapacitated for most of the episode (from his regeneration) was actually a shrewd one: aliens are invading and we feel liking yelling “Wake up, Doctor, WAKE UP!” We want him, we’re desperate for him to show up. And not just the audience, but the characters also. 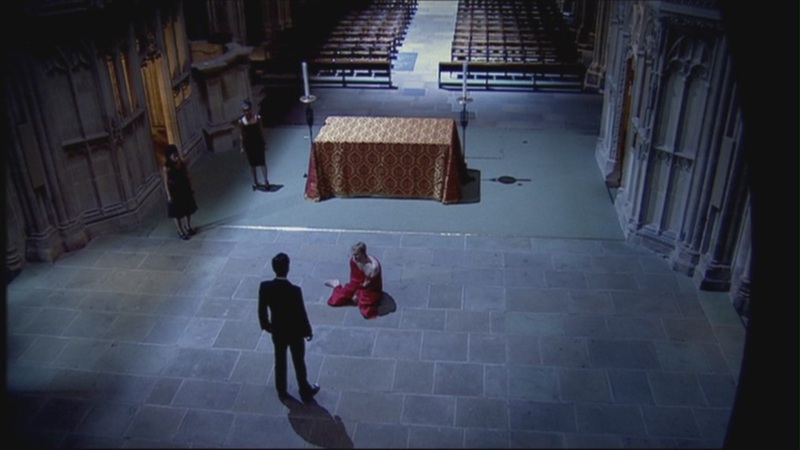 Rose sobs as she realizes that the Ninth Doctor is really, truly gone, and cannot come back. She’s not sure if she likes the Tenth Doctor, simply because he’s different and he replaced the Ninth. Both Jackie Tyler and Mickey are also a bit confused about the Tenth, unsure of how to treat him. 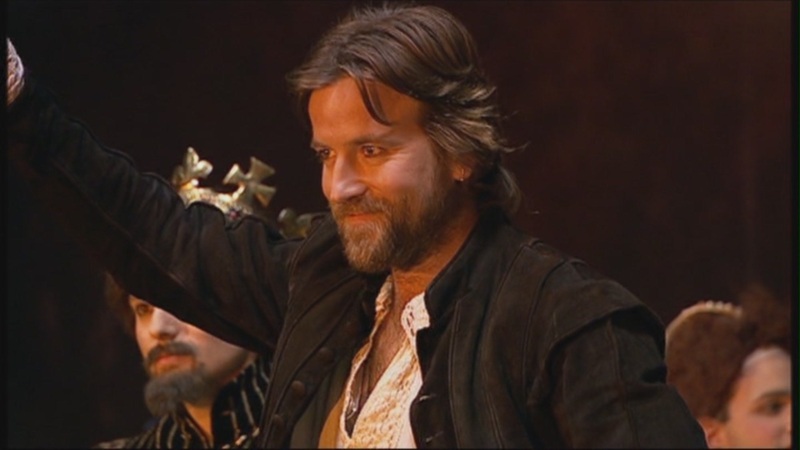 Thus the supporting cast and the audience empathize with each other on the subject of Eccleston’s leaving. Heroic Mickey. He's trying, at least. 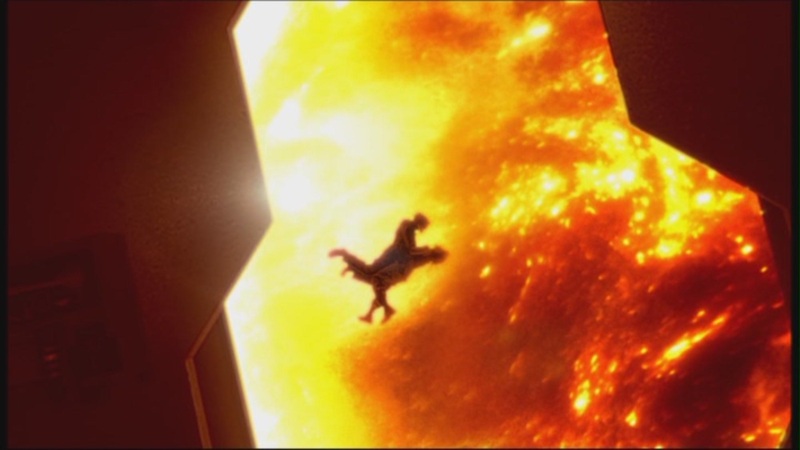 The plot involves a typical, straightforward alien invasion that’s not too interesting by itself, but does allow for some memorably goofy bits. Evil street Santas, killer robotic Christmas trees, the Doctor getting saved by a cup of tea and challenging an alien overlord to a sword duel while in his pajamas…you know, typical Doctor Who! The feel is very reminiscent of Series 1’s pilot “Rose,” with the killer mannequin zombies, where the plot is just an excuse to introduce the new characters. We also get to see our old friend Harriet Jones, former M.P. of Flydale North, now Prime Minister because of the level-headed way she navigated the British government through crisis in Episodes 1.4-5 “Aliens of London” and “World War Three.” And oh yes, that mysterious name Torchwood is becoming more dangerous. Here is where that hypocritical pacifism comes in that I don’t buy or like. The Doctor beats the Sycorax leader in single combat and, per their agreement, forces the Sycorax to retreat from Earth peacefully. 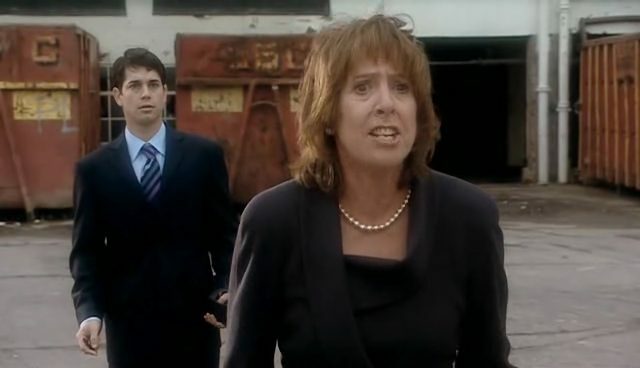 But as the Sycorax spaceship begins to fly out of Earth’s atmosphere, PM Harriet Jones makes a call to Torchwood, and a green Death Star-like laser shoots out from the city of London and destroys it. Furious, the Doctor claims that she is the real monster because she breached a peace agreement and committed murder; furthermore, he brings down her government by planting suspicions in the British public that she is “tired,” despite the fact she is still implied to be highly capable and intelligent. I don’t think the Doctor is right to do this at all, but the show seems to agree with him. The peace agreement was between the Doctor and the Sycorax, and he did not consult Jones or any other Earth leaders for it, meaning it had no authority. The Doctor was presumptuous and arrogant in doing that. 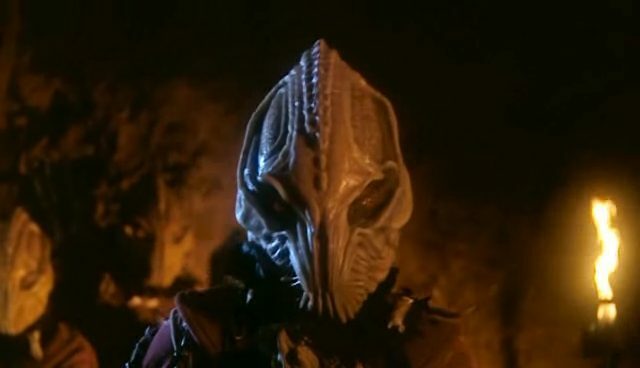 Plus, the Sycorax were warlike and bent on the destruction of humanity – how is Jones to know that they have a sense of honor or keep their word? So many aliens we’ve met in the series haven’t. It wasn’t the most chivalrous thing for Jones to do, but I don’t think it was wrong. It was shrewd, and the Doctor was out of line to deny Britain the right to protect itself. Don't try to stick your tongue out to catch the holiday's first snowflakes -- they're really pieces of burnt aliens. 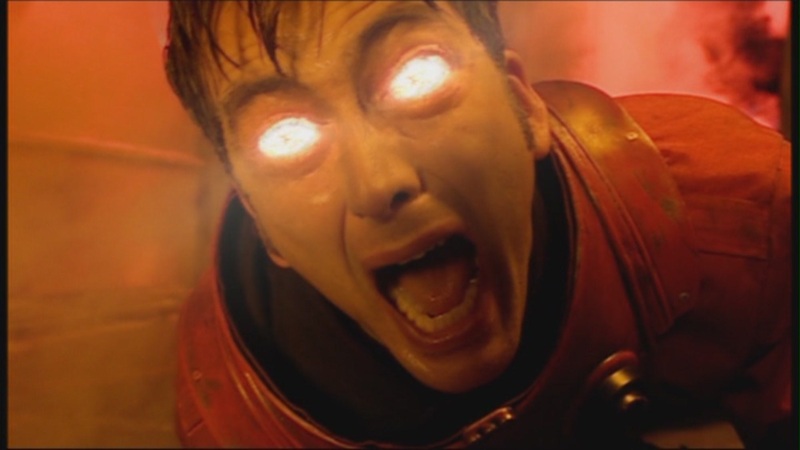 The reason this bugs me more than usual (such as similar pacifism in Episode 1.06 “Dalek”) is because it makes the end of this Christmas episode very bitter. Sure, it’s touching that the Doctor finally allows himself to share Christmas dinner with Rose and her family, but when it’s revealed that what they think is the season’s first snow is really burnt ash from the Sycorax ship falling back to Earth, what are we to feel? 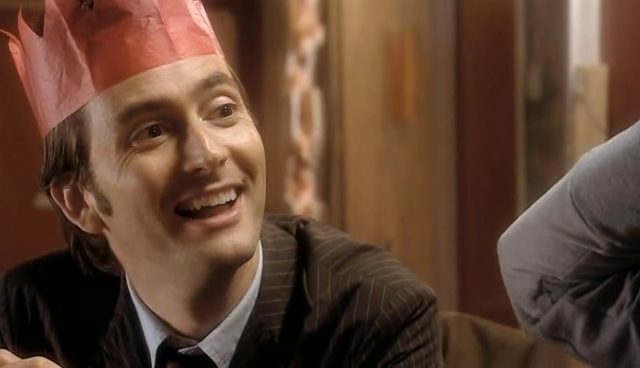 In the DVD commentary, Russell T. Davies says he wanted to avoid an ending that’s “too happy.” Well, he miscalculated for this one – Christmas shows are supposed to be “too happy.” That’s one of the reasons we have them in the first place! 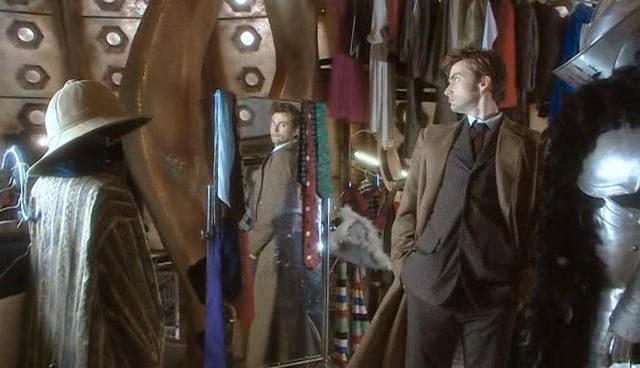 But to end on a better note, we do get to see the Tenth Doctor put together his iconic and incredibly sharp costume at the end. Good. If you’re going to travel through space and time, might as well dress right for it. 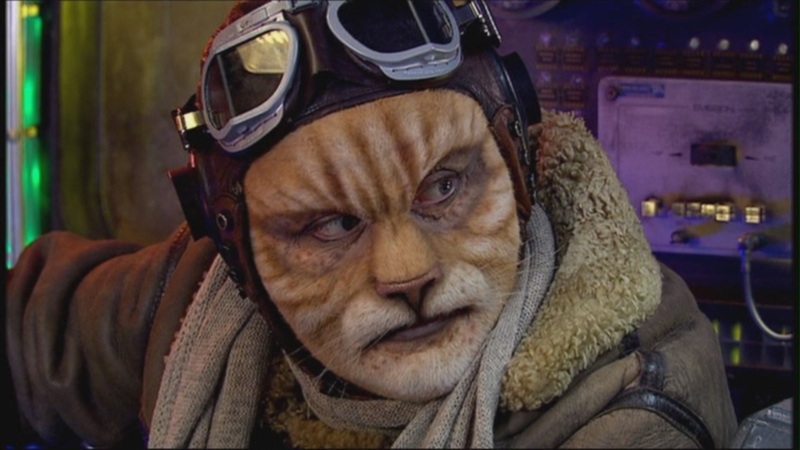 The Doctor: Am I… ginger? 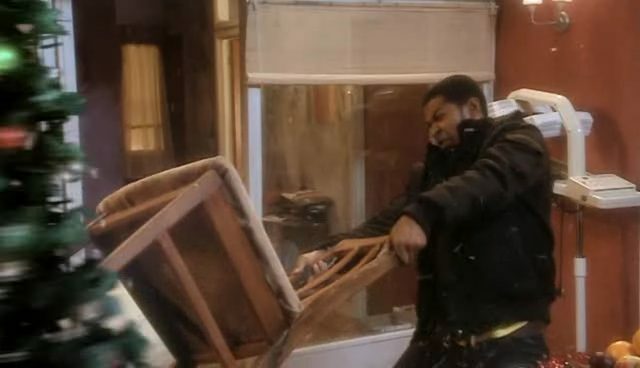 Rose: No, you’re just sort of… brown. The Doctor: [disappointed] Aw, I wanted to be ginger! I’ve never been ginger! And you, Rose Tyler! Fat lot of good you were! You gave up on me! [Rose looks annoyed] Ooh, that’s rude. Is that the sort of man I am now? Am I rude? Rude and not ginger.